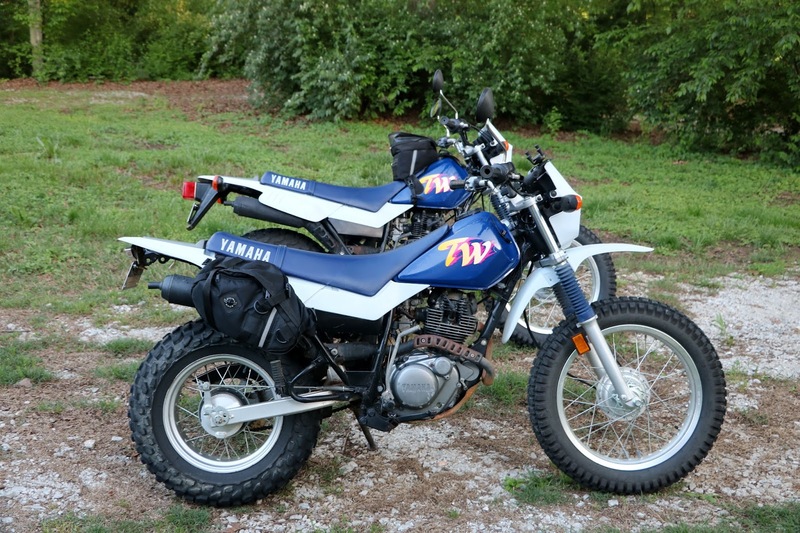 I have to admit, I have NEVER run bags on any enduro I have ever owned. When I received these, I figured I would try them out and then take them off. Boy was I wrong! My husband owns a matching pair of 1993 Yamaha TW200 enduros. 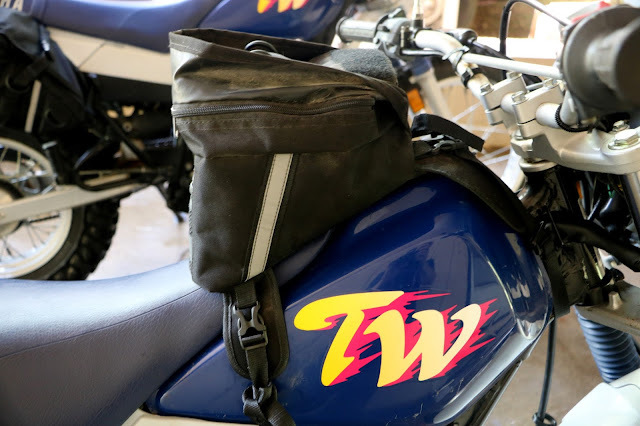 We decided to put the saddlebags on the one he rides and the tank bag on the one I ride, mainly so that when I did the review, you could tell that the bags didn't hurt the appearance much. 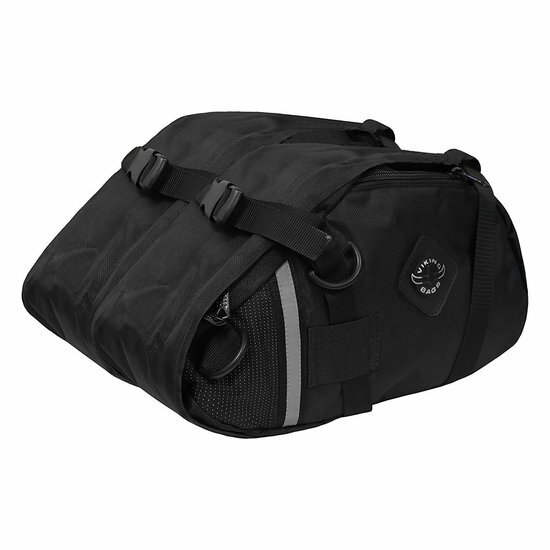 Please note, we have been riding the bikes since last Fall so that I could test the bags and give an honest review. First off, the bags are VERY easy to install and they stay in place. 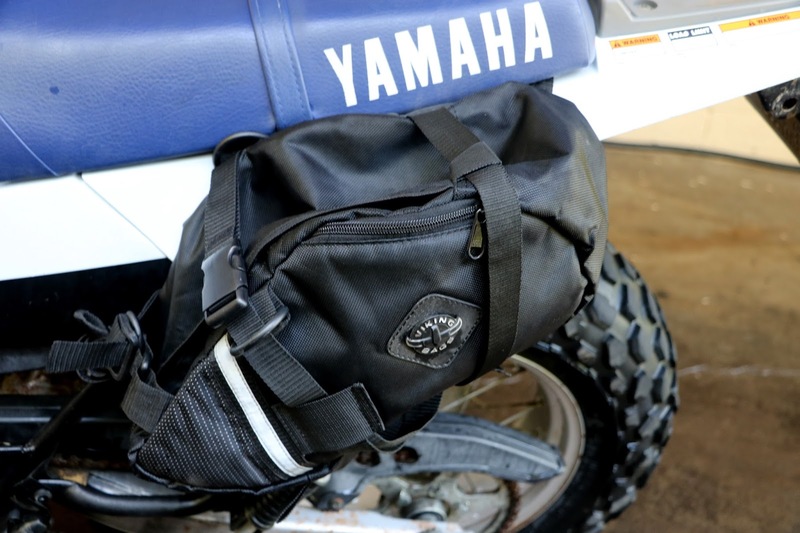 They have lots of straps that should be long enough to fit just about any dirt bike or enduro. 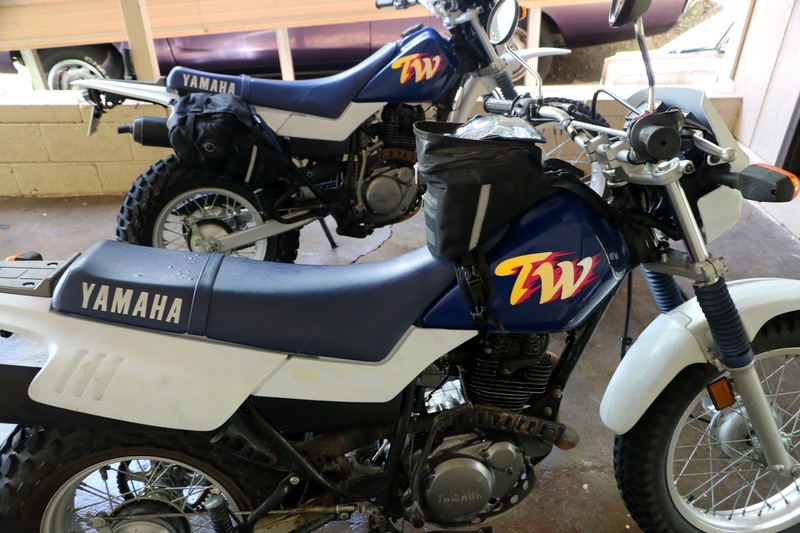 The bags are made from tough Cordura, which is weather resistant but is not rainproof (I know as I washed the bikes yesterday WITH the bags on). They did dry out quickly though. 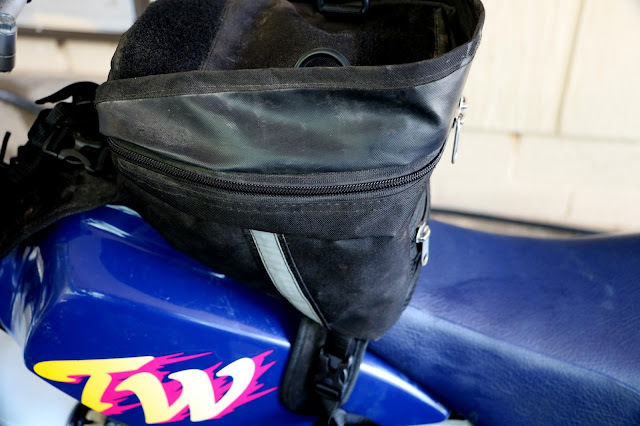 The saddlebags are soft sided and can be cinched up closer to the bike if you so desire. We have found that neither bag interferes at ALL with ridability or maneuverability. In fact you would never even know they were there, except of course, you are staring at the tank bag. The saddlebags measure 15 1/2 by 3 1/2 by 9 1/2. The bags are NOT expandable BUT the straps can be used to make the bags bigger to hold more or cinched up if you are carrying less. 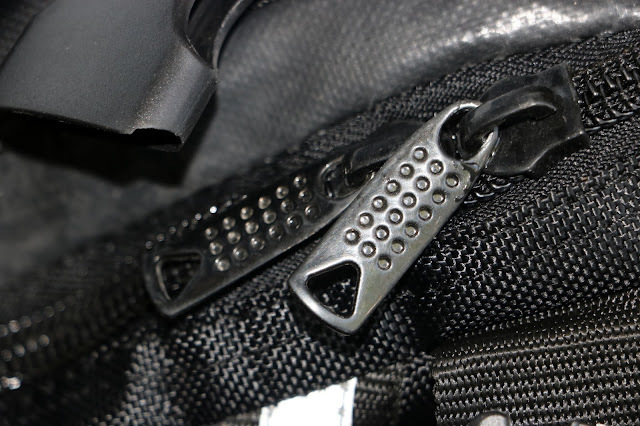 The straps do have plastic buckles and then double heavy duty metal YKK zippers, which is really nice. 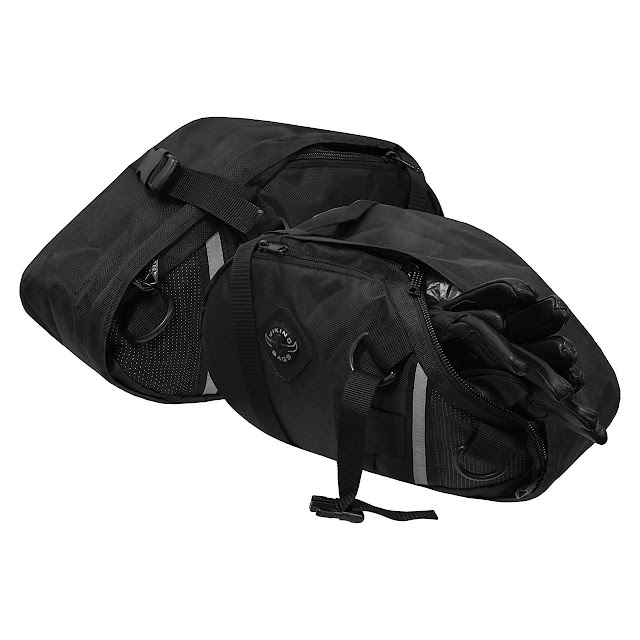 The bags have one large main compartment and then a much smaller zippered pocket on the outside which is easier to get to. As you can see, I was able to get my entire hand in there and then some. So the pocket, although by appearance looks super small, can fit quite a bit. The bags are rated to hold 515.5 cubic inches each so you have 1031 cubic inches of total storage. The bags have lots of plastic hooks so that you can attach other things if you so desire. 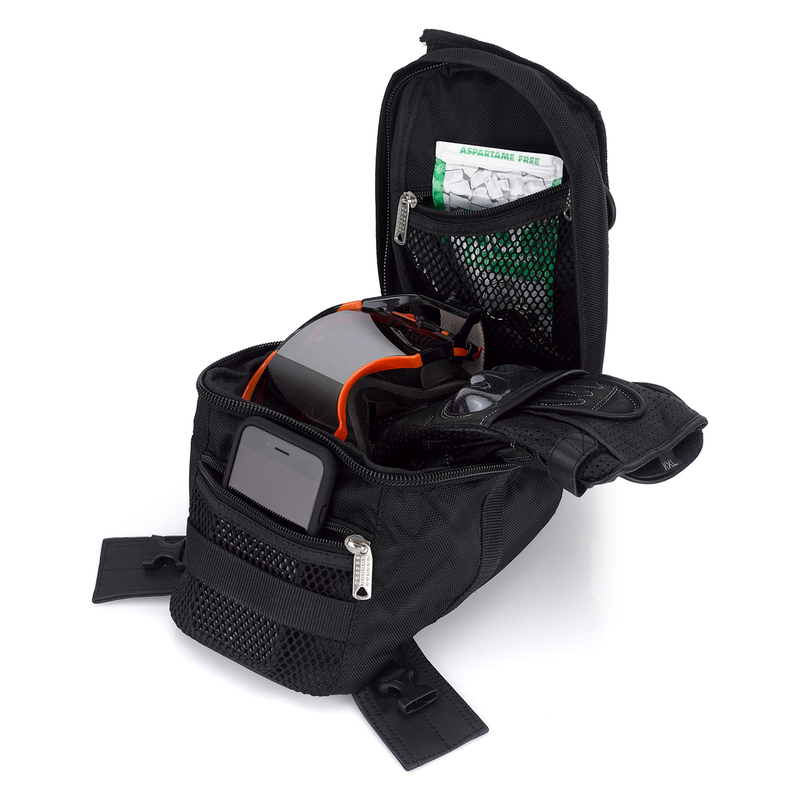 The bags also contain reflective strips for some added safety in case you are out at night. 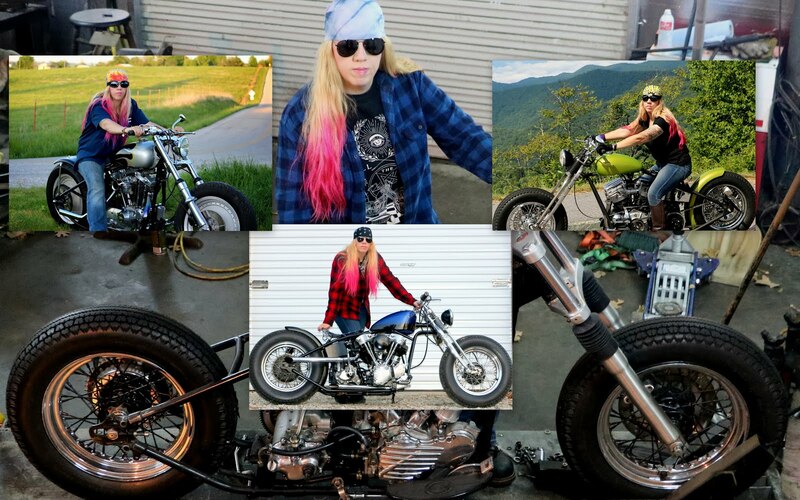 When we go out we usually carry a couple 20 oz waters, several snacks, 5-10 Arkansas Motorcycling Guides to hand out when we stop and eat, an extra pair of gloves for the both of us, as well as pens, a notebook, etc in one of the saddle bags. The other one we usually leave empty as when we get too hot we can shed clothes and put them away. The last time we went out, I had to put a hoodie, a long sleeved thermal shirt, a thin long sleeved jacket, and Gabe's jacket liner in there. And we STILL had room to spare. 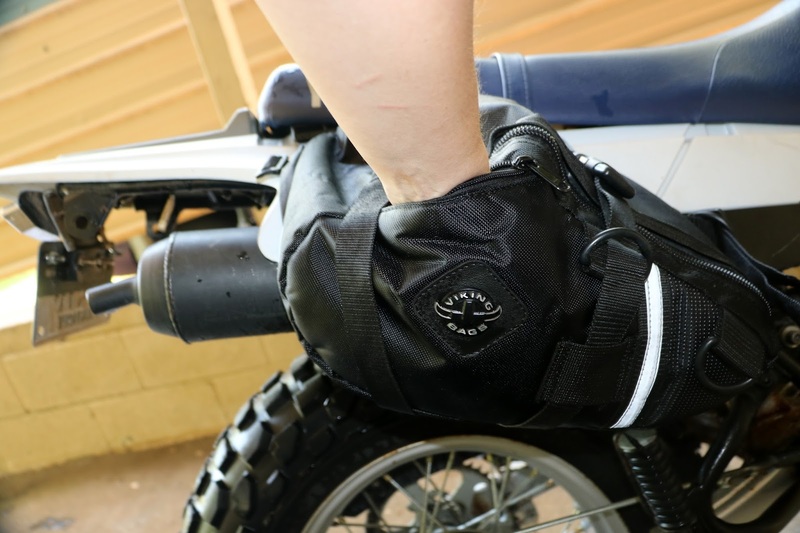 You can purchase the saddlebags here or on Amazon here. The tank bag is also made of Cordura. It measures 11 1/2 by 10 1/2 by 2. 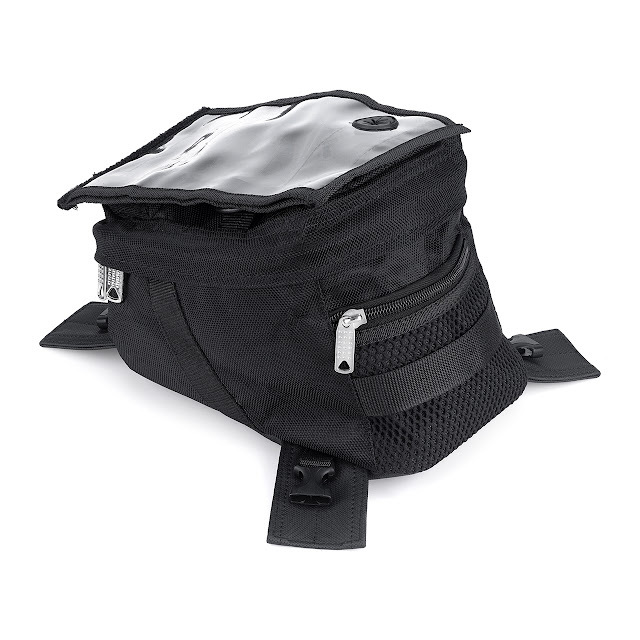 It is rated to hold 262.5 cubic inches and has fabric flaps to protect your paint from the attachment points. 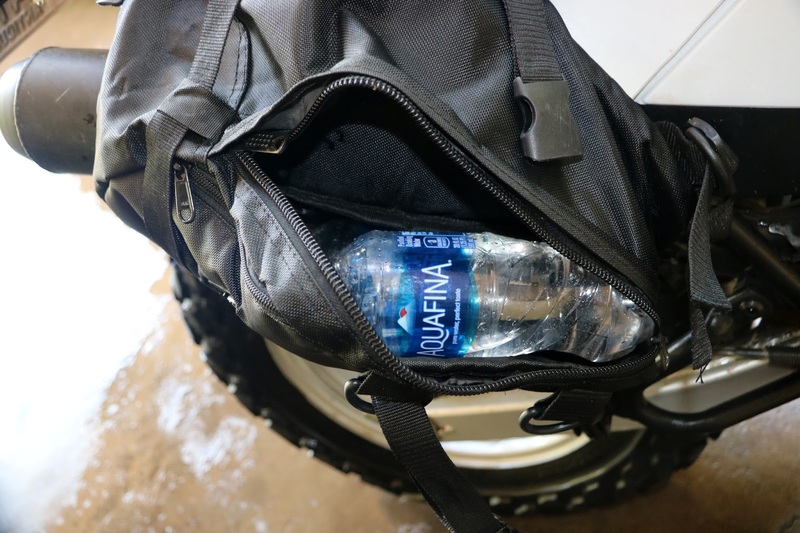 It is also easy to install and when you need to get gas, you just quickly release the two plastic connectors on the front then just lift the bag up. When you are finished, then reattach the connectors. 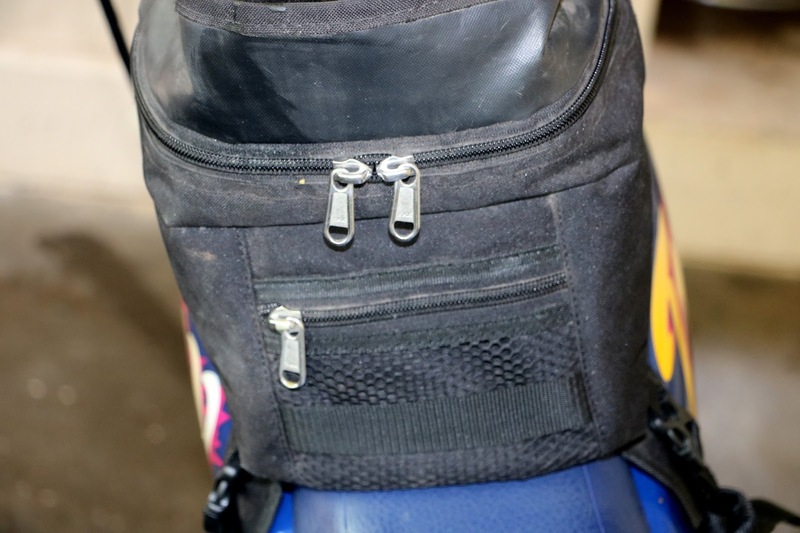 The tank bag also has heavy duty metal YKK zippers and the main compartment has double zippers, which is very nice. I use this bag for one and only one purpose- to carry my DSLR camera in. 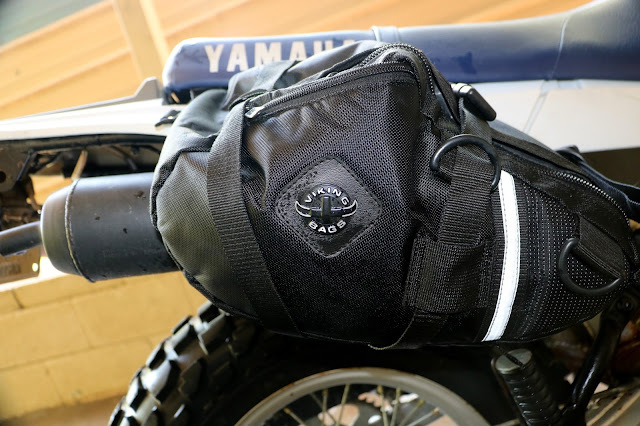 Since I am a moto-journalist I wanted to try a tank bag as a way to carry my Canon T6i with 18-135 lens and battery grip. It fits perfectly, with the lens attached so that I can unzip the bag, using the double zippers that I have brought together, take the lens cap off and start shooting immediately. I did however, have to permanently lift up the flap to make it easier to get into for my camera, which can be seen in the photos. The tank bag also has a clear pouch on top that you can put a map or phone, etc in and it has a clear mesh zippered pocket under the clear top. 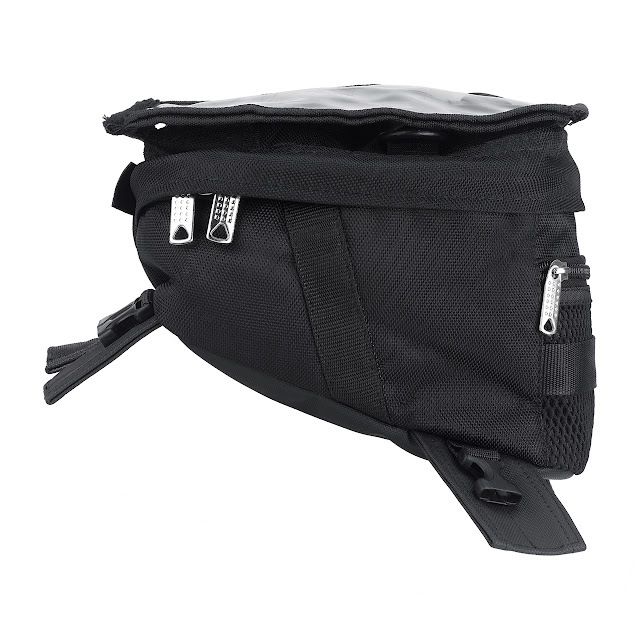 The bag also has a quick access, very small zippered mesh pocket on the outside which I usually carry a Chap-stick in. Like I said, we had never used saddlebags on an enduro before but now we can't imagine riding one without them! They offer so many possibilities we LOVE them!!! !